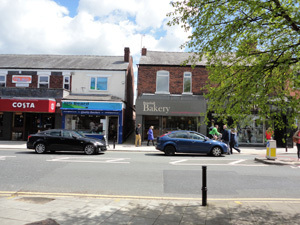 Bramhall Bakery was opened near Manchester in May 2012 by a baker from Melbourne, Australia and a management consultant from Manchester. It is an artisan bakery making quality bread from scratch on-site every day. Everything is made by hand using traditional techniques. 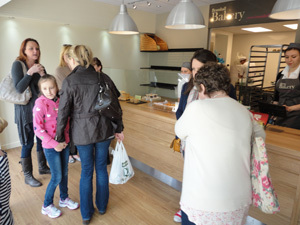 The bakery also sells delicious patisseries and products from carefully selected suppliers. Joanne Peters, commercial director of Bramhall Bakery, explained «as a business consultant it was essential for us to have an EPOS solution where we could see and analyze our business data». Also, Joanne Peters had seen news about how iPads are used in small businesses in the USA and wanted something similar or better. 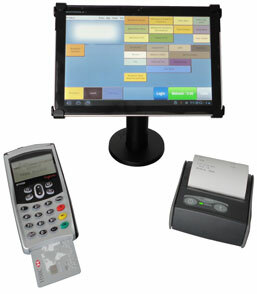 Android EPOS is better because there is a bigger choice of hardware available from many different manufacturers. Space in the bakery is at a premium and it was needed to find something that took little space and fitted in with the modern look of the store. 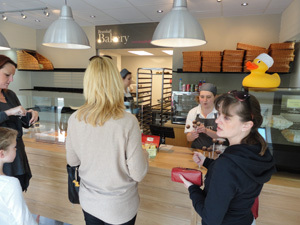 The owners of Bramhall bakery were looking for some time for a suitable solution and when they saw AlfaRichi Android Tablet EPOS solution at the Food and Drink Exhibition in Birmingham in March 2012, they knew that their search had ended. Following the exhibition, Joanne Peters contacted AlfaRichi to understand what hardware would be needed and how it works together. AlfaRichi recommended a Motorola XOOM tablet on a stand, with a wireless WIFI link to internet and to a receipt printer. The cash drawer is connected to the receipt printer and everything is controlled from the AlfaRichi AlfaPoint software on the tablet. A short remote demo of the on-line back office was made to show how easily product data, prices and screen layouts can be setup. The result is an elegant tablet EPOS solution that fits in with the modern design of the bakery, comprising of a 10″ Android Tablet, a receipt printer and cash drawer. There are no disadvantages with respect to a standard point of sale terminal, and even at the busiest times with queues of people in the shop it is possible to rapidly input all sales. The owners of the bakery knew about standard EPOS solutions but chose AlfaRichi because their proven software works also on Android Tablets and they knew this is the solution of the future. Setting up products, prices and screen layouts was intuitive and quite fast. All staff find the tablet easy to use. The biggest benefit is to see all sales in real time and to have reports that show sales down to individual products and also individual staff operations. One of the most useful reports is sales by half hour which enables us to know when to have our bread and other products ready, and how many staff to have working at different times during the day. AlfaRichi is a recognized UK based EPOS Software Company. We were the first to introduce a complete web based back office and the first to provide our software as a service with monthly payments only and no long term contracts. AlfaRichi provides a professional and complete solution for Android tablets and standard touch terminals. Contact us now to see how AlfaRichi EPOS will help your business and increase your profits.